In the 1970s, there were a number of wine tasting groups in Wellington whose members would later strike fame in the New Zealand wine industry. One such wine enthusiast was Dr. Derek Milne, a government soil scientist, who along with a group of five other enthusiasts, bought 16 acres in Martinborough and started Martinborough Vineyard in 1980. Milne was part of a research group that had concluded that Martinborough most closely aligned climatically with Dijon in northern Burgundy. The free draining soils, hot summers and reliable long dry autumn suggested that the area was ideally suited to Burgundian style wines especially Pinot Noir. It was a young winemaker from Australia, Larry McKenna, the first trained wine professional in Martinborough, who joined the partnership and brought Martinborough Vineyard into prominence. Although McKenna had never made Pinot Noir before, his first vintage, the 1986 Martinborough Vineyard Pinot Noir, won gold medals. McKenna stayed until 1990, when he left to develop his own vineyard at Escarpment. Winemaker Claire Mulholland who had experience with Pinot Noir in the Gibbston Valley of Central Otago was hired in 2000. New Zealander Paul Mason joined the winemaking staff in 2004. Today five of the six original enthusiasts remain as the shareholders and four as directors of Martinborough Vineyard Ltd. The winery has a lovely tasting room and grounds and remains a mainstay of Pinot Noir in Martinborough. The wines made by Larry McKenna have a track record of age ability. 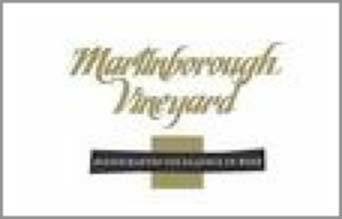 I drank the 1998 Martinborough Vineyard Pinot Noir with Larry while in Martinborough in 2008 and it was excellent, sporting a lovely secondary bouquet and plenty of persistent juicy fruit with overtones of spice and leather.